SmartMetric announced it has entered into an agreement with ServiRed to manufacture the SmartMetric biometric credit card with Advantis credit and debit card EMV chip technology. ServiRed is Spain’s leading card payment scheme with 44 million cards in circulation, 1,147,077 merchants and more than 32,000 ATMs. ServiRed has 100 members – banks, savings banks, and credit cooperatives – of which 67 are shareholders in the company. 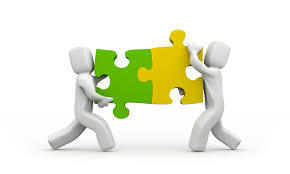 ServiRed provides international interoperability through co-branding with Visa and MasterCard. Advantis is an issuing technology based on the EMV standards. Spanish payment processor RedSys is the developer of the Advantis chip operating system and as of January 1st, 2019, has acquired from ServiRed, through company succession, the independent economic marketing unit of the Advantis System. According to the announcement, SmartMetric will be working closely with the Advantis technology to offer customers worldwide a secure fingerprint biometrics credit card fully compatible with the international EMV standards. “We are excited by this agreement with ServiRed, who is a major European credit card network that also through its Advantis chip and card operating system will allow us to offer our advanced biometric credit and debit card solution to banks in Europe, South America and the United States,” commented SmartMetric president and CEO, Chaya Hendrick. 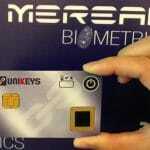 In November SmartMetric introduced additional sensing functions to validate the liveness of the finger being used on the fingerprint sensor in its biometric cards. 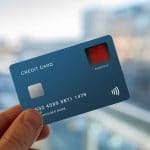 Goode Intelligence recently forecast that there will be 579 million biometric payment cards in use by 2023, and 2019 will see the commercial launch of biometric payment cards, according to numerous industry sources.